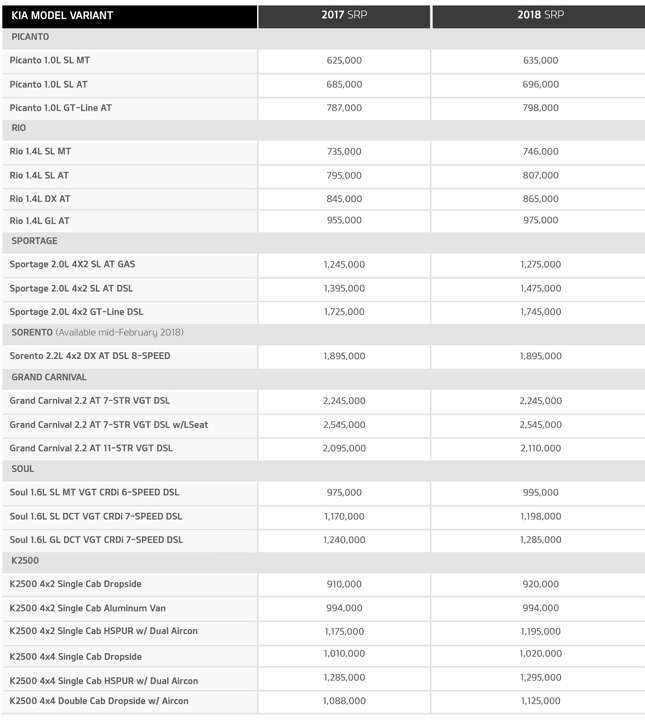 The Columbian Autocar Corporation, Kia's official Philippine distributor, just sent its updated price list earlier today. 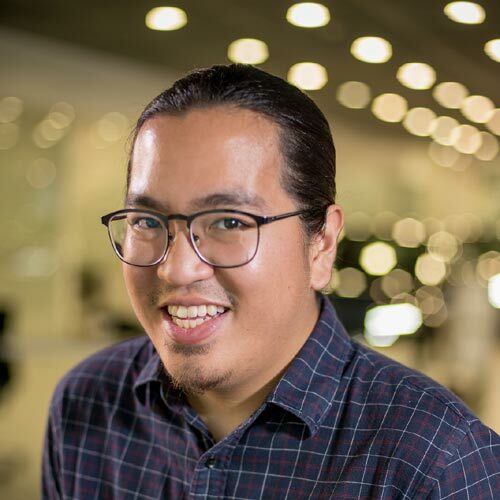 Thankfully, those considering the brand's most popular models will be happy to know that the Tax Reform for Acceleration and Inclusion (TRAIN) law's effect on its lineup isn't too drastic. The biggest jump in cost belongs to the mid-level Sportage SL diesel. In 2017, the crossover went for P1,395,000, now it's priced at P1,475,000—that's an P80,000 increase. This is followed by the top-of-the-line Soul (up by P45,000), and the double cab, air-conditioned version of its K2500 light commercial truck (up by P37,000). 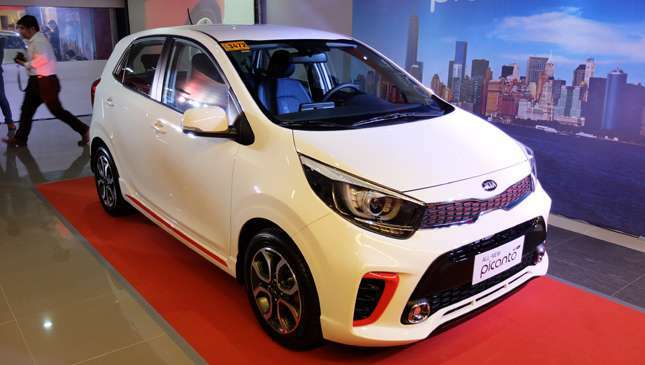 Other than the models mentioned above, no Kia vehicle saw an increase in price over P30,000. 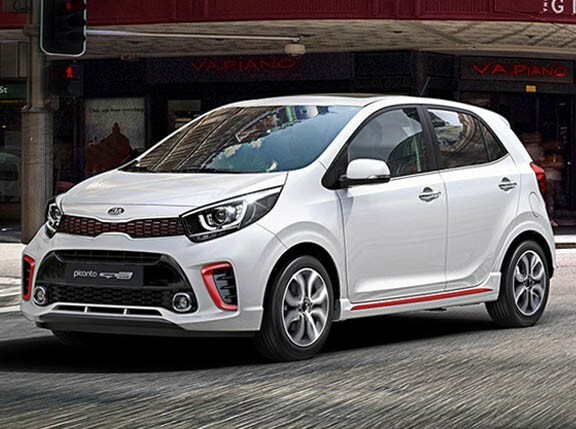 The popular Picanto city hatch's GT-Line variant only increased by P11,000, and the Rio 1.4 GL subcompact hatchback by P20,000. With the exception of its 11-seat model, the Grand Carnival maintained its 2017 pricing, too. Finally! A non-Japanese car manufacturer has released its 2018 prices. Alright Hyundai, all eyes are on you now. Will a unified national transport body improve road safety?